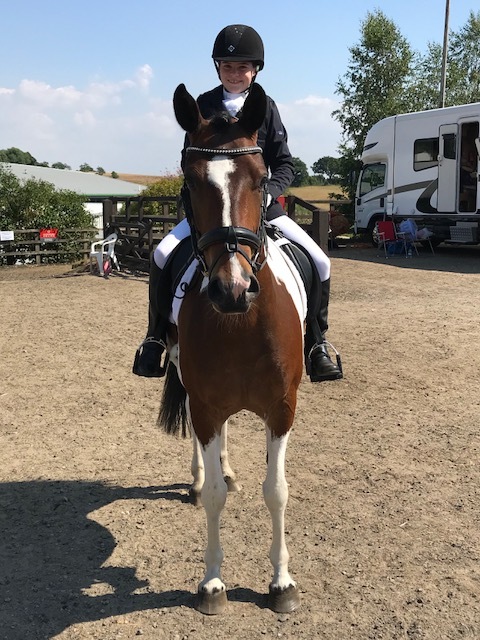 Young equestrian, Isabella, daughter of Alison Benfield from our Stratford Lettings team, achieved some fantastic results at the RDA National Championships during the weekend of 13th-15th July. Isabella, who we featured in a previous article Congratulations to Isabella, is a very accomplished rider and she and her pony Cookies and Cream, began their prize-winning weekend by coming 2nd in Showjumping with a score of 86. This was a great achievement and came as a bit of a shock to Isabella and her parents given that showjumping is not even her speciality! She also came 5th in Showing which means she has qualified for the RDA Showing Championships to be held at British Show Horse Association Championships in September. The following day Isabella continued her success by winning the Grade 4 Dressage Junior Section with a score of 71.75%, placing her first in the entire country. An amazing result. To top the weekend off, she then came 1st in the Best Turned Out section. SBK would like to congratulate Isabella on her superb performance and wish her all the very best for the British Show Horse Association Championships in September.